The Career Library is a career and graduate school resource for all majors and alumni. Job Search engines as well as templates for resumes, cover letters, personal statements, and curriculum vitae can be found here as well as information on graduate school preparation such as practice tests, entrance exams, and prominent graduate programs in Texas. Advice regarding interviewing and personal branding is also available. The resume and cover letter are the cornerstone of any successful job search. There are many resources online that can help you construct a resume. Moreover, your Career Counselors have been working with students, alumni, and employers for many years, so utilizing the resources in The Office of Career and Calling can help you get you noticed by employers. Make an appointment or drop-in today! A résumé is a living document; it is always changing and updating. As you gain more skills, training, and experience you’ll want to update it in Hire-a-Husky to maximize your job search! Rank Order. Most résumés have several categories: experience, skills, training, education, volunteering, etc. The most relevant and often most recent experiences need to be mentioned before others. Targeting. When sending out a cover letter, or cover email these days, you target your best qualities and experiences before you send. The résumé is no different. Look over the job description to tailor it to that specific situation. Summary. By listing an overview (summary, profile, qualifications), you have succinctly stated the best qualities! List your top five, or so, things that you bring to the table. Be specific. Length. When a manager looks at a résumé that is 3/4 of a page or one page + a few lines, they ask themselves, “Is that it?” One full, power-packed page is optimal, or if you have a second page-fill it. Call-worthy? Step into the shoes of the person you intend on sending your résumé to, and ask yourself: would I call this candidate? Also, have mentor look over it…more tips and advice – the better. In most cases, a resume should be accompanied by a cover letter. Even if a candidate is applying online for a job, often there is room to type, or copy/paste, a cover letter – letting the employer know why. THE most important tip regarding cover letters…make sure it is specific. It’s never a good idea to start out a letter, “To Whom it May Concern” — nobody likes to get mail that’s addressed in that way. So, even if you don’t know exactly to whom the letter/email should be address, at least use: Dear Hiring Manager. It is also important to know that managers are very busy. If you can condense your letter to 2-3 short paragraphs, that is preferred. Remember, the purpose of a cover letter is to get them to look at your resume and to get that initial phone call. Opening: Write a personable, inviting opening paragraph that highlights how your skills are a perfect fit to the job. Also, see below for examples of cover and marketing letters. Not quite as well-known as the resume, the CV (curriculum vitae) is used more often in Academia OR for jobs abroad. The CV is more thorough than the resume, and will include projects, publications, conferences, and other academic-related content. The Office of Career and Calling would like to meet with you to talk about your job search, internship search, or anything career-related. Please make an appointment with us or drop in to see us during our "drop-in" hours. We are always looking for ways to connect Huskies with employers! O*Net Online is a very powerful research tool that provides job seekers with an ability to source jobs in every occupational family or Career Cluster recognized by the Bureau of Labor Statistics. If you want to learn about the various industries in the United States, then we suggest using O*Net. The Office of Career and Calling believes it is important for students and alumni to know the worth of their experience in the competitive job market. This resource allows for browsing jobs and average salaries in various industries by city and state. For example, if you are attempting to determine what an accountant makes in Houston, this resource will provide you the answer. If you happen to find the position in Hire-A-Husky, you can enter the information from the posting as Pay-scale will ask for pertinent details regarding the position in order to provide you with an accurate salary figure. Other resources to utilize are: Salary.com, O-Net, and Glassdoor. The Office of Career and Calling advises students and alumni to start their online internship & job search by first logging into their individual Hire-A-Husky accounts. Many Employers in Houston and beyond are targeting Huskies for internships and jobs. It is hard to find these employers out in the general job market. This is precisely why the Office of Career and Calling has its very own job database just for Huskies. You will find it easier to get a response back when submitting your resume for a position in Hire-A-Husky versus applying for jobs in general on the internet. Students and alumni are advised to upload their current resumes into Hire-A-Husky in order to begin the internship & job search process. Discovering Your Calling (or Major) is a monumental decision-point in Career Development. 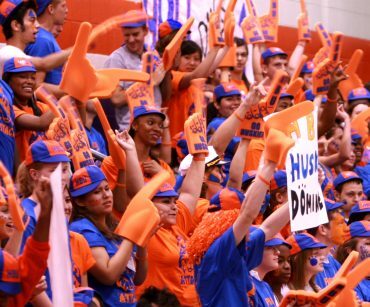 We recognize that many students are not ready to choose a specific academic program of study when first entering HBU, and we can help if you need us. Below are some resources that are available through Career and Calling. 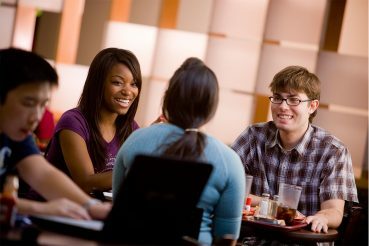 CollegeGrad.com has complied an exhaustive list of Majors and Industries to research. Career, major, and industry profiles can be a great research tool. BigFuture also has a tool for researching college majors. 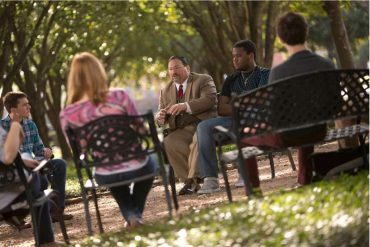 The Office of Career and Calling has designed a thorough Road Map designed to help students while matriculating at HBU. In addition, we have made available to Students, Alumni, and staff some tools that can help in the decision-making process. All are more than welcome to read a brief description regarding our Career Assessments. Please feel free to make an appointment with The Office of Career and Calling to discuss this as well! "The research of a University of Toledo psychology professor has shown that the interview outcome is determined in the first 30 seconds. "What makes the lasting impression are the silent signals, the facial expressions, the cut of the suit, and the beauty of the speaker," writes Jenni Laidman in describing the research. This opening question really sets the pace and success rate of the entire interview. The goal of this question is to get the candidate to open up about their professional accomplishments, experience, skills, and goals. Answering this question strongly and succinctly sets up the candidate for a great interview! Online resource, job-hunt, has some sound advice on how to prepare. Career and Calling can help you with this question and other interview questions in a Professional Mock Interview. All appointments are scheduled in Hire-A-Husky. Forbes has complied a list of Common Interview Questions for candidates to use in preparation. In addition, here are two good resources to help with Interview Preparation and Interview Tips. It’s not only important to prepare for interview questions, but it’s also key to be prepared to discuss your knowledge, skills, and abilities as it pertains to the job and organization. Psychology tells us that the best predictor of future behavior is past behavior. Behavior-based interview questions, often starting with “Tell me a time when…” OR “Give me an example of…,” allow the interviewer to asses the candidate’s past successes and challenges. These set of questions are typically asked in every industry. Behavioral Interviews are common, because the employer can get a better idea, depending on your answers, of how you would react or conduct yourself in a given situation. How does your faith drive your decisions in life? What are the skills you possess that not many others can say they have? Can I learn more about YOU online? If you are able to answer these questions coherently and in complete sentences then you are on your way to identifying your Personal Brand! Once you have identified your Personal Brand, you probably want others to know about you and what you could potentially bring to a role with a prospective employer. LinkedIn is a great way to manage your Personal Brand and professional image online. As you go through college and attend Job Fairs, meet professionals, get business cards, you might want to keep in touch with them for the long haul as they might be helpful to you as your career unfolds. Creating a LinkedIn page is worthwhile and will truly open doors for you! Deciding on whether to continue your education is a decision not to be taken lightly. We want to ensure you have all the resources to make an informed decision regarding your education and career path. Does your career path align with the right Graduate School program? A master’s degree enables you to add depth and breadth to your knowledge in a field, and often to bring together several different fields in one program. 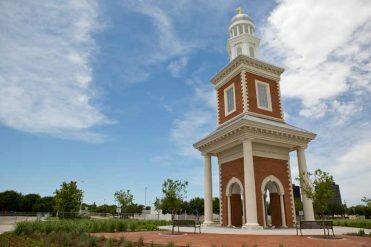 Houston Baptist University offers several master’s degree programs designed to provide you with the knowledge and experiences you seek. It is four hours in length and each section is timed. It focuses on three competencies: Analytical Writing, Verbal Reasoning, and Quantitative Reasoning. You will be able to use a Calculator on certain parts of the exam. The GRE General is administered by computer throughout the year. Register to take the GRE at a test center close to you. The fee for the GRE is $160 in the U.S. and U.S. Territories. On Test Day arrive at least 30 minutes early to complete any paperwork before the exam. If you arrive late, you may not be admitted and might not be refunded. Bring your identification to the test center. Unofficial scores will appear on the computer screen following your test. Official scores are mailed to you and the institutions you choose 10-14 days afterward. Plan to take the GRE well in advance of application due dates. Try to take it the spring or summer before you apply to grad school. You can always retake the GRE, but remember that you’re allowed to take it only once per calendar month. The Office of Career and Calling is happy to assist you with your Personal Statements. The first step is making an outline of your accomplishments in order to determine a theme for your essay. Career and Calling can meet with you regarding choosing the right area or filed to focus upon. Our Career Assessments assist students with connecting their interests with specific career paths. Contact us today to make an appointment! We take this decision just as serious as you do!